Home Bathroom Spoil Dad On His Special Day! It’s mid-June already? That can’t be! Father’s day is only a week and a bit away! 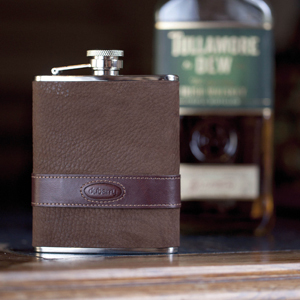 I find that hip flasks make the perfect little gift for Father’s Day. The best thing about these highly fashionable flasks is that they can be presented in many different ways; usually as a very personal and sentimental gift (perfect for Father’s Day!). From my experience hip flasks are not the kind of gift that will get thrown to the back of a cupboard and get forgotten, as they can be used again and again for years to come. Starting at the lower end of the spending budget, we have a selection of genuine leather Pinder Bros flasks that come in a choice of three different colours: brown, tan and black. 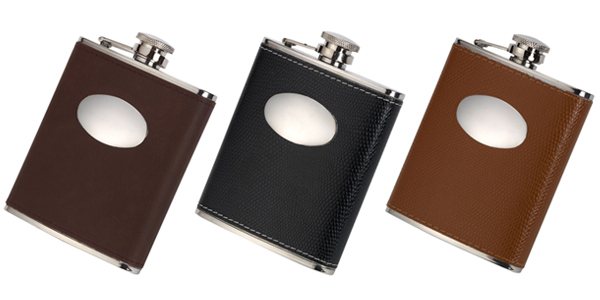 These beautifully textured flasks are ideal for taking on fishing, shooting and general leisurely trips. In the middle price bracket we have the elegant Barbour hip flask. 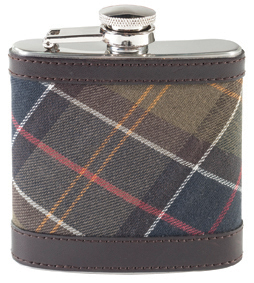 Adorned with a gorgeous tartan outer material, this flask is an extremely fashionable accessory that looks great when matched with a classic Barbour waxed jacket. 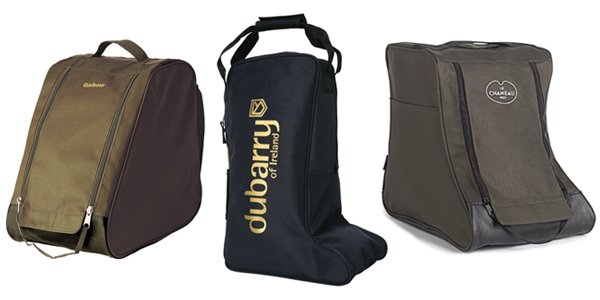 The Dubarry Rugby hip flask may be at the top end of the price scale, but for good reason. This handsome walnut leather flask is the top dog when it comes to drinking in style. This container features a luxuriously soft and smooth outer surface, displaying a beautifully personalised and detailed Dubarry leather band. This striking Dubarry Grafton wallet has been designed with crushed leathers to create beautiful contrasting textures to give it an attractive classic finish. 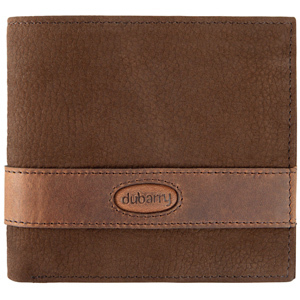 The Grafton wallet looks superb when paired with the Dubarry Rugby hip flask. The R.M. Williams Manguri wallet is perfect for those dads who like to live on the edge! 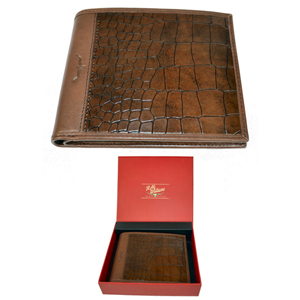 This crocodile textured wallet perfectly embodies the rough and tumble of the Aussie outback. This case contains numerous organisation compartments for all of your notes, coins and cards (especially coffee cards!) to make shopping easy. The Manguri looks particularly fantastic when coupled with the R.M. 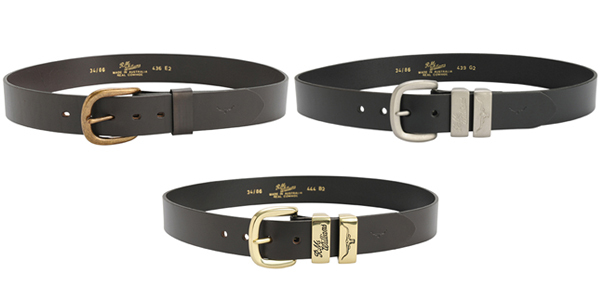 Williams crocodile print belt. 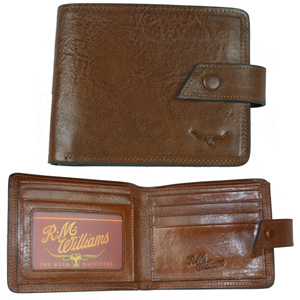 My personal favourite is the R.M.Williams Hackney wallet. This smooth leather wallet is more than just a stylish accessory, the craftsmanship and detail that has been put into this item is impeccable! What I find most attractive about this wallet is the attentive attention to aesthetic and practicality; the beautifully stitched detail on the outside of the wallet carries on into the inside, which is what I think makes this wallet so charismatic. With safety in mind this wallet features a security popper that will help you keep your belongings extra safe. To top it off, both of the R.M. Williams wallets come in a sleek and stylish red gift box, (boom! The wrapping has all been done for you, this gives you time for an extra cuppa). Does your dad spend a lot of his time outdoors? I don’t know about you, but I’m always nagging my dad to wear a cap and some sun cream when he’s out in the harsh rays of the summer sun. The Barbour Cascade sports cap is perfect for fighting off the rays! 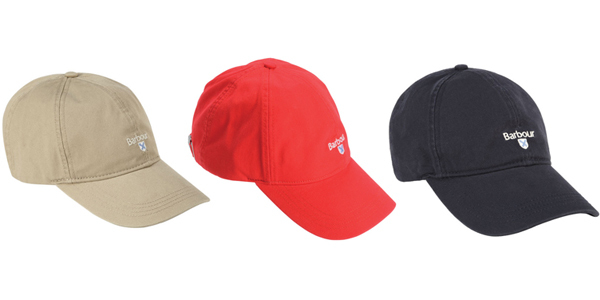 This cap is available in three different colours; red, navy and stone, which means you can easily mix and match caps with a variety of different outfits. The R.M. Williams Longhorn Logo cap makes another great gift idea, a tad more expensive, but definitely worth it. This cap features the iconic steers head emblem on the front and the famous R.M. Williams monogram on the back. To cap it all off (see what I did there?) 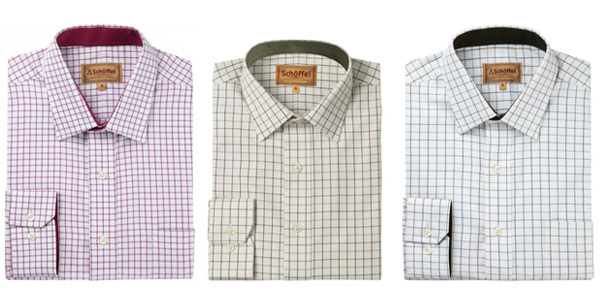 you can’t go wrong with either of the selections above for dad this Father’s Day! Is your dad always on the move? Then why not buy him a trusty Danielle travel kit? Thanks to Danielle’s superb attention to detail and practicality you are ensured to have a first rate product. If stylish and extremely practical is what dad needs then why not take a look at the Danielle Berkley range. 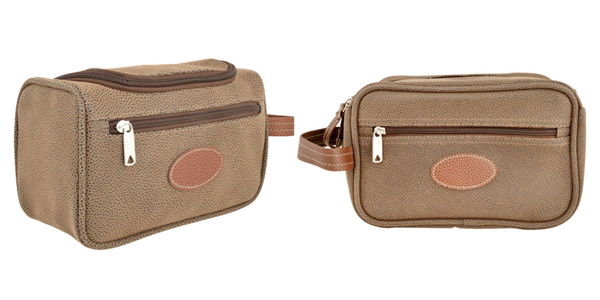 This faux leather range is perfect for keeping all of your toiletries and essentials in one location when travelling from place to place. 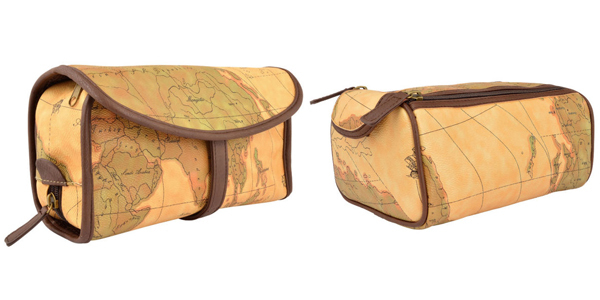 If your dad is always jetting from country to country because of work, or if he is simply just an avid traveler, then the vintage inspired Danielle Globetrotter collection will do just the job! Even with all of these fabulous gift suggestions, we think that the best thing you can give dad on Father’s Day (which cannot be beaten by a long shot) is a lovely and thoughtful card, a tasty cuppa and an extra big hug! 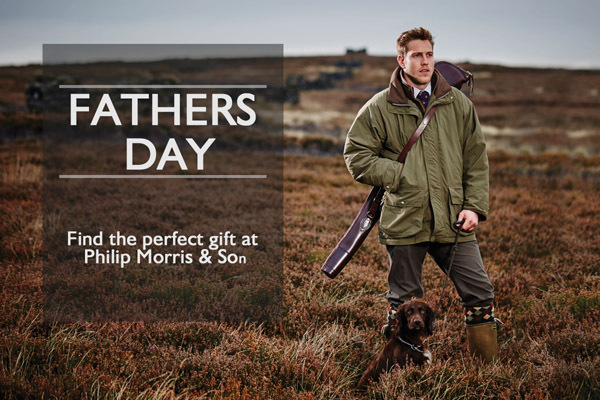 barbour, Danielle, Dubarry, Father's Day, Gift Ideas, hip flasks, Le Chameau, Pinder Bros, R.M Williams, Wallets. Bookmark.